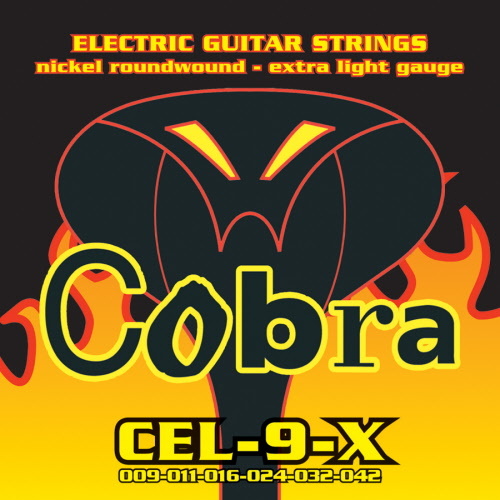 Cobra electric guitar strings for electric guitars come in different sets. Extra Light, Hybrid Light and Regular. 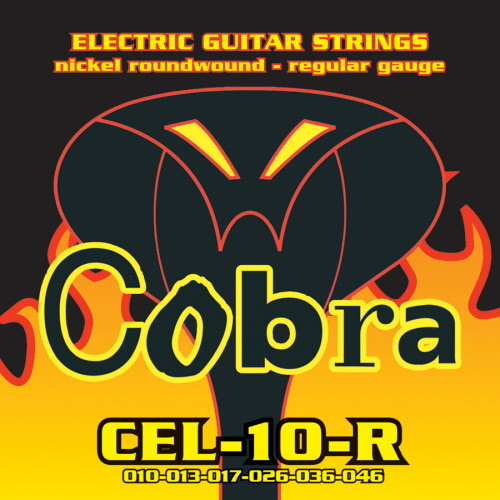 Cobra string set for electric guitars. Material: nickel roundwound. Version: Extra Light. Sizes: 009-.011-.016-.024-.032.042. Now from € 7,95 for € 5,65. Best price online! 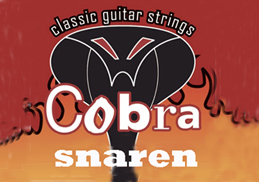 Cobra string set for electric guitars. Material: nickel roundwound. Version: Hybrid Light. Sizes: 009-.011-.016.-026.-.036-.046. Now from € 7,95 for € 5,65. Best price online! 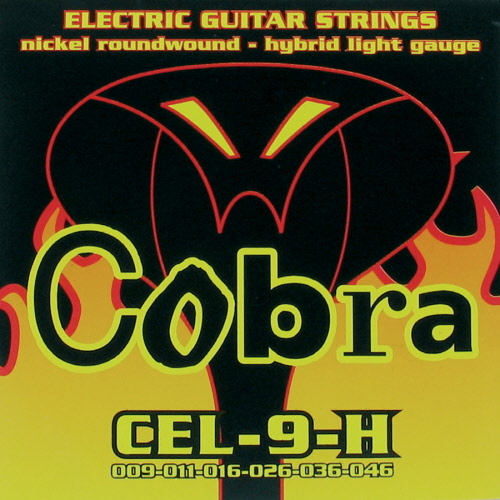 Cobra string set for electric guitars. Material: nickel roundwound. Version: Regular. Sizes: 010-.013-.017-.026-.036-.046. Now from € 7,95 for € 5,65. Best price online!